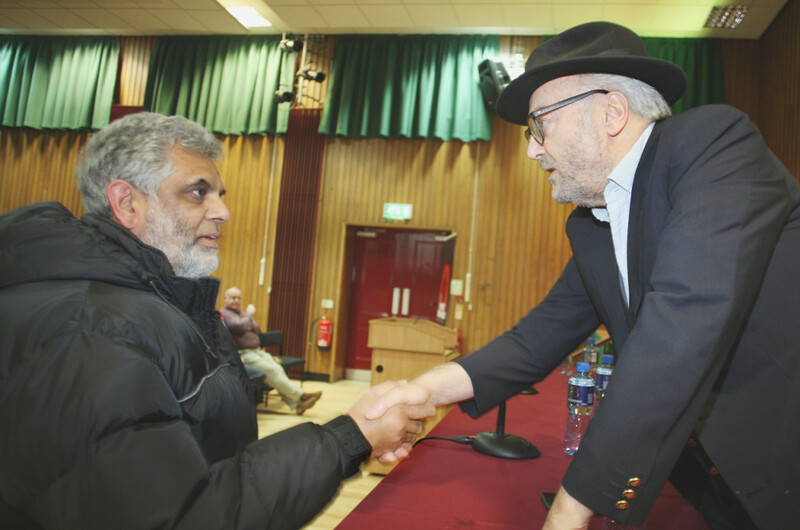 St. Mary’s University was packed to capacity on Monday evening for the screening of the controversial George Galloway documentary The Killing$ of Tony Blair. The hard-hitting film, which at times is extremely difficult viewing, explores how former British Prime Minister Tony Blair has spent his years after leaving Number 10 in what Mr Galloway describes as the ‘Blair Rich Project’. The film was shown as a preliminary screening as part of the Respect Film Festival. Introducing the film, George Galloway said: “I am delighted to say that this is the biggest audience we have had for the film anywhere in the world. “This film was crowd funded by more than 5,000 people, small donations of no more than £500, and thus became the biggest crowd funded film in British crowd funding history and was the biggest documentary crowd funding success in the whole world. Speaking to a captivated audience, Mr Galloway went on to discuss the film. He said: “The film will make you laugh, it will make you at least want to cry and if you didn’t want to cry well then there is something wrong with you, but above all I think it will make you angry. If you didn’t like Tony Blair before you saw this film, trust me, it’s going to be difficult to contain yourselves afterwards, because the scale of this man’s crimes absolutely dwarfs any good that he might have done and of course I’m aware and acknowledge in the film the good things that he did here in the north of Ireland and if he had stopped then we would be having a meeting to commemorate his wonderful premiership. But unfortunately he didn’t. The Respect Film Festival will take place between March 3 and 8 2017.